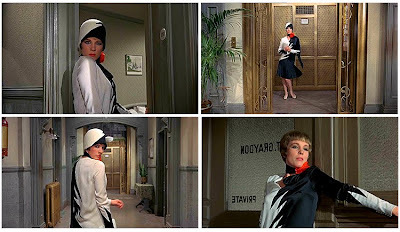 A little while ago I had a request to look at Thoroughly Modern Millie for Silver Screen Sunday. So, today, that is what I am going to do! 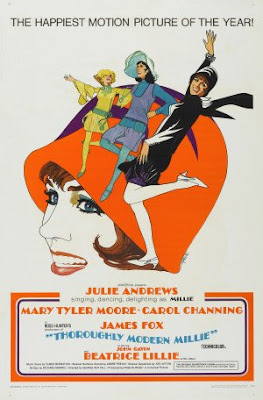 The film was made in 1967 but is set in the roaring twenties. 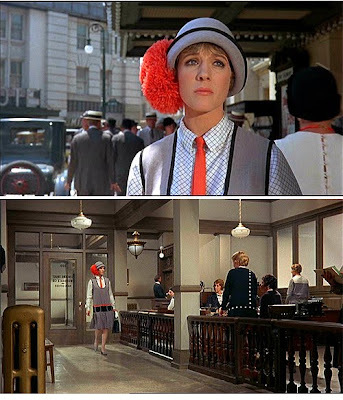 You can read a fairly detailed description of the plot here, but the film more or less follows Millie (played by the beautiful Julie Andrews), who has reinvented herself as a 'modern' as she tries to marry her boss. I think the film does poke a little bit of fun at the era but it seems like it's out of love. I also like the incorporation of title cards from time to time. My favourite variation is the 'slapioca'. Although the line of this dress is not something I personally like wearing, I like the idea of incorporating a skinny tie and a snappy blouse into an outfit. Actually, I definitely have rather a 'thing' for skinny ties. There are a few to be found on etsy but you can also find them in various colours here. I'm also quite partial to Millie's pom-pom hat. I love Millie's 'vamp' look. It's very dramatic! 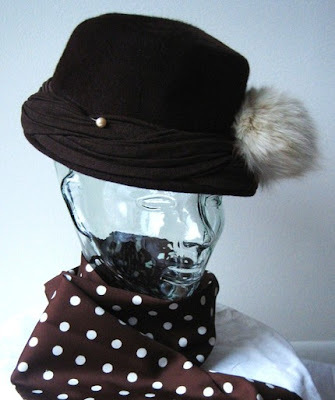 I like the half-and-half style of the dress and cloche hat. When it comes to fashion, my favourite eras are definitely the 1940s and 1950s but I still love the fashions of the 1920s, even though they do not love me at all. For today I've steered away from authentic 1920s and looked, instead, at 1960s clothes which draw inspiration from the '20s. 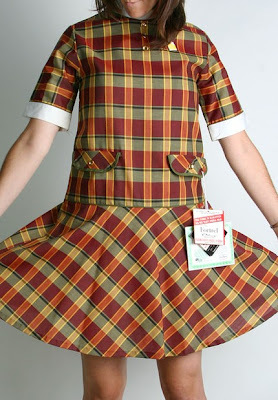 This plaid dress is very, very similar to one worn by Julie Andrews in the film. Found here on etsy. 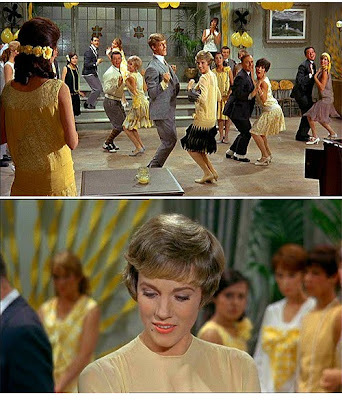 This yellow dress would fit in quite well in the 'Tapioca' scene. Found here on etsy. 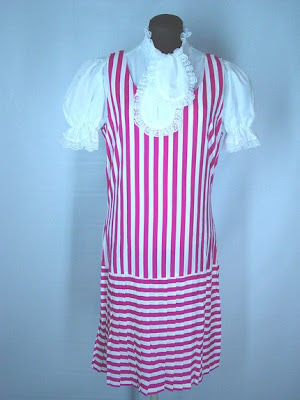 This dress doesn't come with the blouse but I think it looks awfully cute this way! And it reminds me of Millie's outfit with the tie. Found here on etsy. And a pom pom hat! Not quite as bright as Millie's but just as cute. Found here on etsy. PS If this is vague in anyway whatsoever, I apologise. It's over 40C today (104F) and the internet will only work in the hottest room in the house, where the benefits of airconditioning will not reach. So, this was a little rushed but hopefully still enjoyable. I loved this post just as I love all your posts, I'm realy feeling for you and the melbournians as well both of you having over 40 today. It's only 29 here in perth but dont you worry they'e forecasted 42 for sunday hahahhaa. By the way what's your favourite outfit for a scorcher of a day? I haven't seen this yet (gasp!) I keep happening upon it in my favourite video store, and keep thinking I should get it. love it! 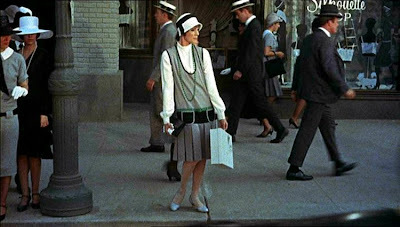 The 60s mod does 20s flapper look is something I have a major soft spot for, though I just cannot rock that look. Fabulous!! For some reason, this is one of those movies I keep hearing about but have never gotten around to watching. 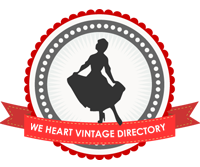 I love what I see here, however, and will definitely add it to my list! I love the beads sequence... I definitely have that problem, too ;-). 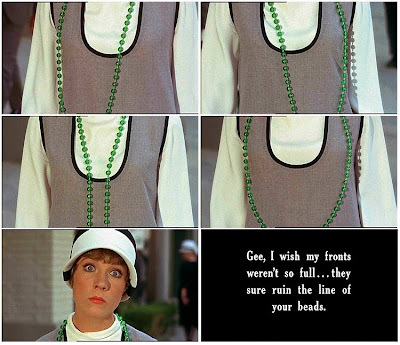 Haha, the beads scene is great. I'm the same way about suspenders. With my chest they want to go out to the sides and it looks odd. I love this movie! 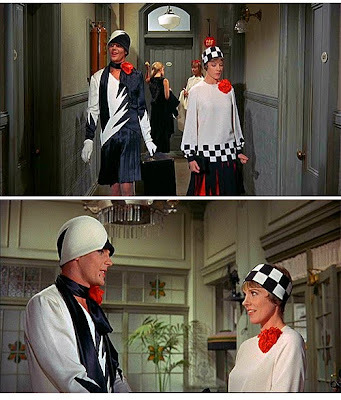 It's one of the first movies that really got me interested in finding out more about vintage fashion (I was six at the time, but armed with a library card). I also love the bead scene and the use of title cards. Aren't Carol Channing and Beatrice Lillie awesome in the film. P.S. Weirdly, I just found the original soundtrack record at a thrift shop on Friday and was planning on re-watching the film. I love this movie and your posts are awesome. I love that you pointed out the difficulty of actually wearing 1920s fashions. They were so radical. You had to be tall, thin and completely without any figure at all, I think. So few of us fit that description and as the inter-titles pointed out, even Millie kind of failed by having actual breasts. I guess if rich girls are always flat chested, then I must be rich yo! Hey, I added you to my blog roll, girlfriend. By the way, don't even talk about the weather. It's below -6 F, where I live. "Oh, he's just full of apple sauce." Your color coordination observation is right on target. 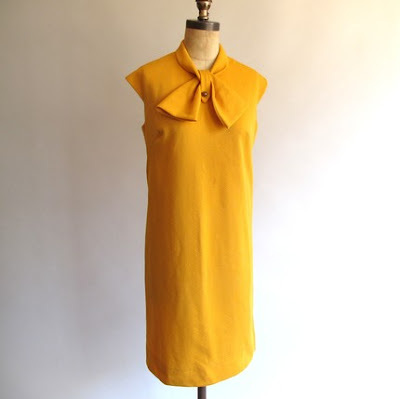 Love the yellow Etsy dress. Superb. thanks for the lovely video and all the pics - I have never seen the movie but I will look it out now. And how hot was Monday?! 43C here, my computer and internet barely worked at all..! Hehe thanks Andi!! You've picked out some of my favourite bits to showcase. I even managed to make my boyfriend (horror film director, not into *gasp* musicals!) watch it the other day and he actually enjoyed it, so anyone who hasn't seen it - go! Right now! Ps. If your video store doesn't have it I picked it up on DVD at Australia Post of all places in a set with Sweet Charity and Pillow Talk for $20! Well worth it!